Description: This is a digital set of stamps with the beautiful flowers and nuts from an Australian gumtree. 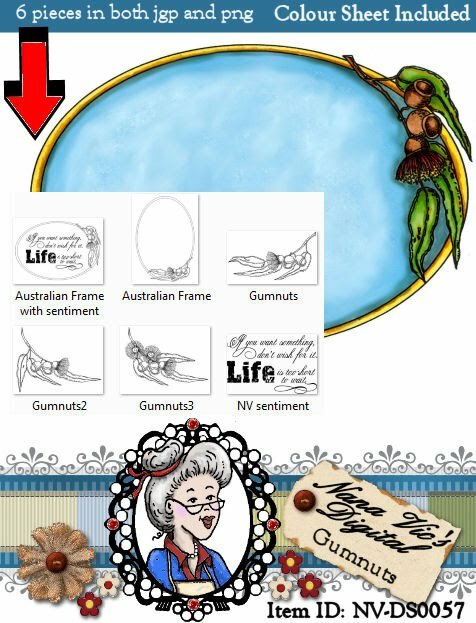 Set includes 3 slightly different gumnut digitals, an oval frame with gumnuts blank and with the sentiment already in place and lastly a precoloured blank oval. A great set to add to your collection for all your crafting projects.